The Worshipful Master and I were Initiated the same night, after attending Lodge dinners for nearly six months. We wanted to be sure that, not only was Freemasonry right for us, but also that we were right for Petaluma-Hamilton #180. I recently found my journal from those days and I wanted to share the emotions I had after becoming a Freemason. Since two of us were being initiated at the same time, one of us of course had to stand out while the other was being entered into the Craft. I stood and spoke with the Tyler during William’s initiation, volunteering to go second. We again, as we had on several other occasions, spoke on the history of the lodge building (dating back as far as the city itself, and then some), the history of Freemasonry, and what helps bring men together. After much time William returned with the rest of the Lodge, the look on his face a mixture of shock and awe. I was informed by the two gentlemen assigned to assist that it was my turn. Patting my grandfather’s Masonic bible (brought to the states from his lodge in Saudi Arabia), I turned and entered the preparation room, was prepared for the ritual, and divested of all that I could not carry with me. Prepared, I took a solemn breath, and my night began. I’m not an overly religious man, as I have my own beliefs on the ideals of ‘god,’ but of course I, as all other Brothers, have faith, and as I waited, my hand resting on the door, I felt like I was standing at the alter of God, at the alter of the Universe. I was about to embark on a journey millions had taken before me, including my grandfather. Later, when the lodge was opened before me, I saw not the thirty men standing around me, but instead the countless Masons of the past and future. Truly awe-inspiring, to which any of us can attest. And when I was presented Masonry’s highest honor â€“ the lambskin apron â€“ I could hardly contain what I was feeling. And then, the lecture. I have seen feats of stamina and rote memory before, but this was truly impressive. What kept running through my head as I sat in rapt attention, was that every man in this room has heard the same, has learned the same, and has retold the same. Every man who had ever learned what I had just learned had gone through the same. And one day, it shall be I standing before young initiates detailing the journey and the institution to which they had entered. 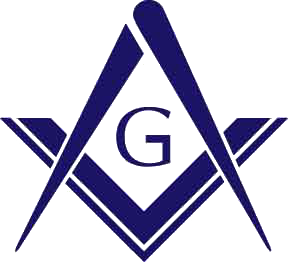 Some day, I will myself be a Worshipful Master. In all times prior when I had attended the dinner before the Lodge’s stated meetings, all members of the Lodge had been friendly and helpful. However, no longer was I an outsider looking to be a part of something greater; now I was one of them, amongst them, ready to learn and be taught by them. Smiles, congratulations, heartfelt admonitions, smiled promises, and all manner of entertainment followed. It was a quiet ride home, both my newfound Brother and I thinking weightily on the events of the evening. I can’t say thank you enough to the Brothers who were present, either bodily or in spirit, to the Petaluma-Hamilton Lodge #180, and to all of my Bretheren the world over. Attending an Initiation is, to me, one of the most important duties we as Masons can undertake, welcoming a new Brother, supporting him, and truly showing him the universality of our ancient and honorable Craft. Pay particular attention to the trestleboards and emails you get from all of the Sonoma County Lodges â€“ we all take a great deal of pride in our Initiations, and your attendance means an incredible amount.